Apple has officially seeded and released its new beta update for Mac OS X Mavericks 10.9 users i.e. OS X Mavericks 10.9.3 Beta 1 (Build: 13D12) to registered OS X developers and general public (non-developers). The official Direct Download Links of OS X Mavericks 10.9.3 Beta 1 (Build: 13D12) .DMG Update Files from Apple is available now. What's New in OS X Mavericks 10.9.3 Beta 1 Features & Changes? The latest Mac OS X Mavericks 10.9.3 Beta 1 (Build: 13D12) Update holds several new features, bug fixes, audio and graphics improvements, introduction of new ‘Native’ Retina higher-resolution hardware option for 4K display monitors for sharper Retina mode at 60Hz like of Dell, Sharp, Lenovo, LG and ASUS monitors manufacturer. It’s a tradition of Apple to release several beta series before the final released, so its surely expected that Mac OS X Mavericks 10.9 users will get more beta updates after the first one i.e. OS X 10.9.3 Beta 2 or OS X 10.9.3 Beta 3 etc. 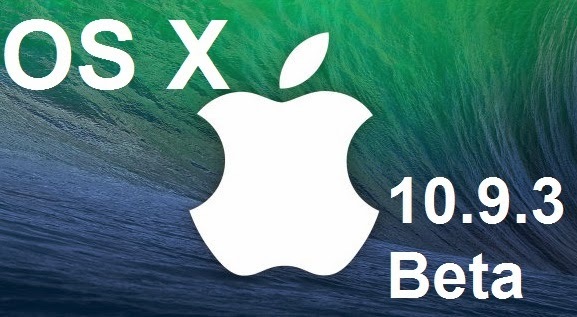 Mac OS X developers can download and install OS X 10.9.3 Beta 1 from OS X Dev Center website and general public (non-developers) can Download OS X Mavericks 10.9.3 Beta 1 Combo/Delta .DMG Update Files via Torrent/Direct Links available below.